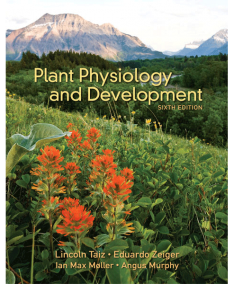 This website is a companion to the textbook Plant Physiology and Development, Sixth Edition by Lincoln Taiz, Eduardo Zeiger, Ian M. Møller, and Angus Murphy, published by Sinauer Associates. For each chapter of the textbook, the site includes Web Topics and Web Essays that expand on the book’s coverage, Study Questions for self-review, and chapter References. Use the “Jump to Chapter” menu on the left to access any specific chapter or content category directly. If you have any problems using this site, or have any suggestions or errors to report, please contact us at support@sinauer.com. Be sure to include the name of this website (Plant Physiology and Development 6e Companion Website) in your message.